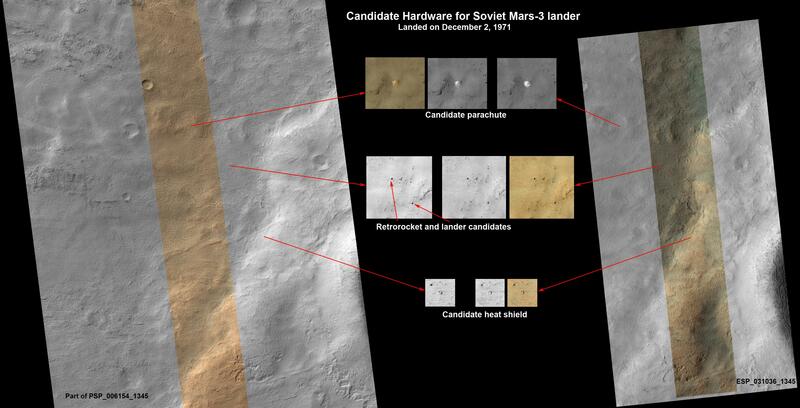 Old Soviet Mars 3 lander discovered? A “missing” Mars lander and its associated hardware from the 1970s may have finally been discovered in images taken by the Mars Reconnaissance Orbiter. The Soviet Mars 3 lander was the first successful landing on Mars by any spacecraft, but after transmitting for only 14.5 seconds after touchdown on December 2, 1971, it went silent and was never heard from again. Its exact landing site was unknown, but now may have finally been located after all these years. The discovery was made by Russian citizen space enthusiasts, who were examining images taken by MRO. In one older image from 2007, they found four features that appeared to correspond to the parachute, heat shield, terminal retrorocket and the lander itself. After the initial discovery, a follow-up image was aquired by MRO on March 10, 2013. It seems likely that these are indeed the long-sought relics of the Mars 3 mission, since the sizes of the objects correspond to the known sizes of the actual pieces of hardware and they are arranged on the ground in the order that would be expected from the descent process during landing. The candidate parachute in particular is quite noticeable in the images, looking very bright against the darker ground underneath it. The image is of a region inside Ptolemaeus crater, where the probe was targeted to land. The image itself is huge, containing about 1.8 billion pixels of data. It would require about 2,500 normal computer screens to view the entire high-resolution image at once! 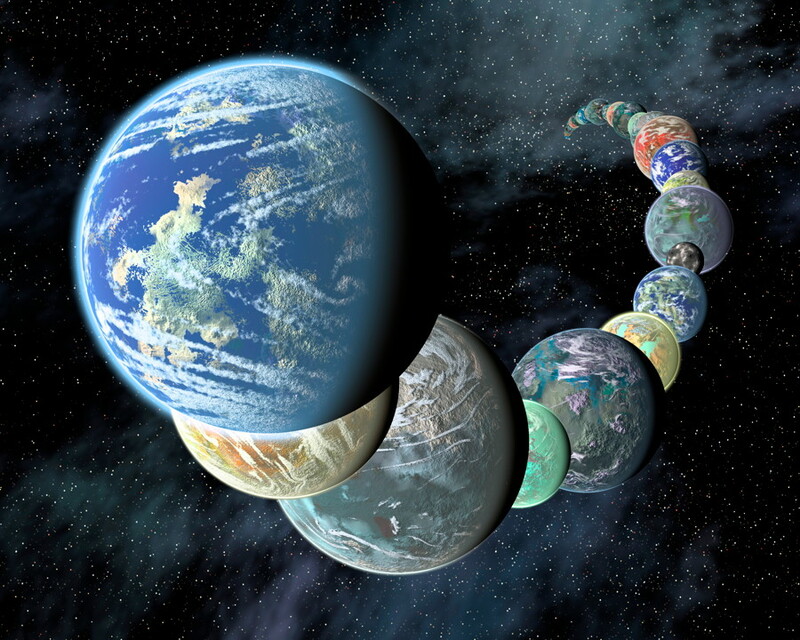 This is an exciting discovery if confirmed – we may finally learn more about what happened to this ill-fated mission which seemed to be initially successful but then ended abruptly in disappointment. Additional images of the candidate hardware pieces are available here and here.